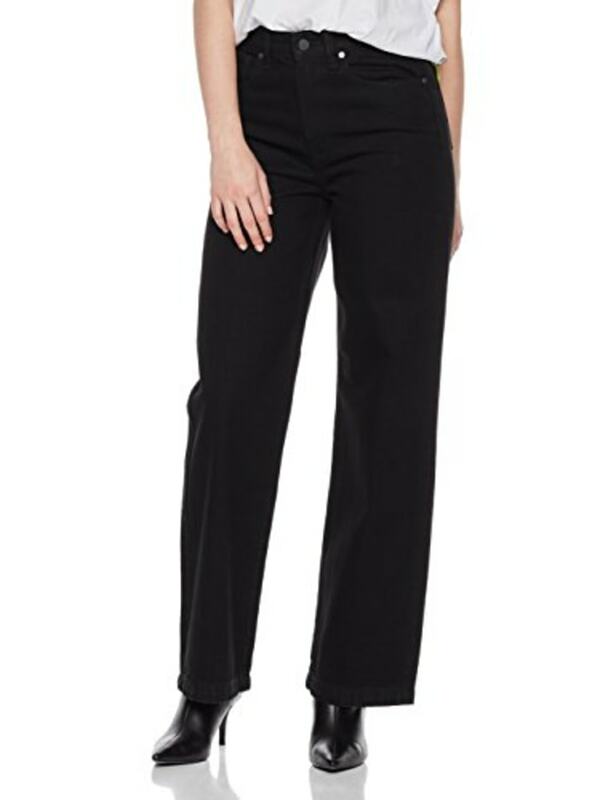 These perfect pairs give you the sleekest, most flattering look imaginable. When I first saw Tina Fey’s eviscerating "Saturday Night Live" sketch about the horrors of mom jeans, I was filled not with disdain, but with desire. Fashion trends come and go, but (at least for me) muffin tops are forever. Ever since giving birth to my son six years ago — and if I’m honest, years before that — I’ve dealt with a very obstinate and immutable roll of belly fat. It’s been impervious to barre classes, ab workouts and diets. I can drop inches everywhere else, but in my 40s, my waist will not budge. 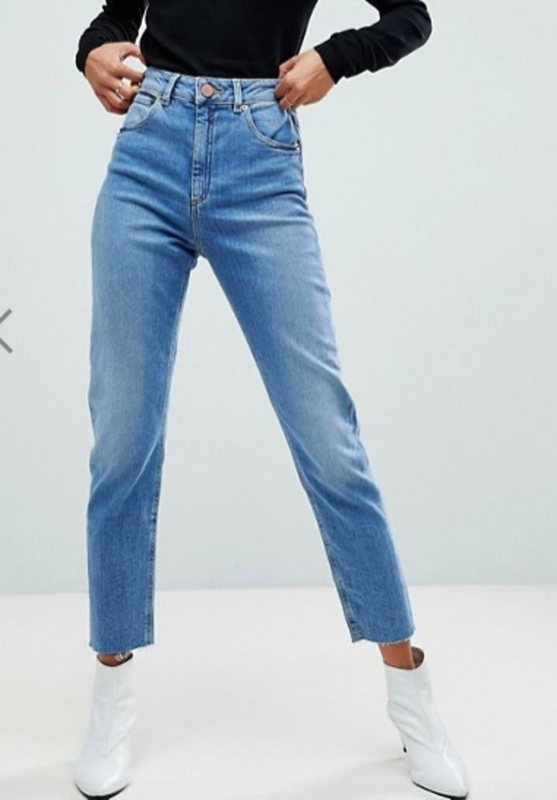 The popularity of low-rise jeans in '90s, preferably with thongs loudly and proudly on display (a style once favored by Britney Spears), was a moment of denim despair for me. To be able to wear them, I’d need a full bodysuit that would squash and push down all that flab to create a lean line. You want to talk about discomfort and sweat in the wrong places? So, for years, I circumvented the ubiquitous style dictates and relied on skirts, skipping jeans altogether. That is, until the return of my beloved and dearly missed high-waisted pants. Angelina Jolie and Katie Holmes have worn them, as have Kendall Jenner, Reese Witherspoon and Miranda Kerr. I love them! 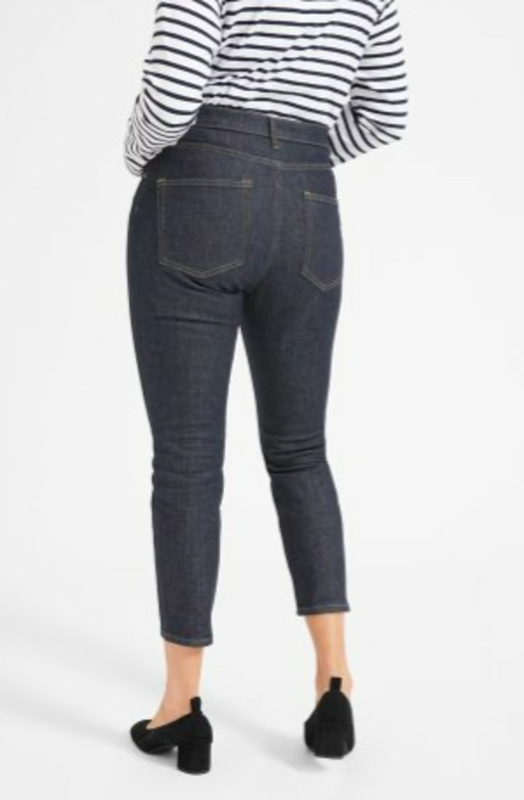 This has been my go-to style since the wondrous mom jean has made a major comeback. Yes, they're pricey, but you can wear them everything: tight tops, boxy blouses, tucked in or not. There’s no worry about anything unwanted being put on display. And best of all, both pairs are insanely comfortable. If you're looking to try the figure-flattering style, I've gathered some other go-to pairs below. All hail the high rise! 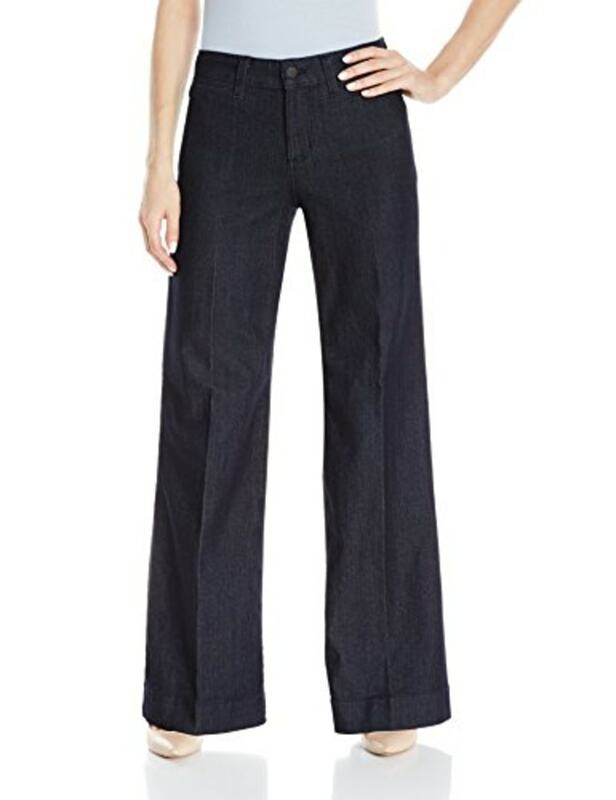 A perfect blend of denim and work pants. 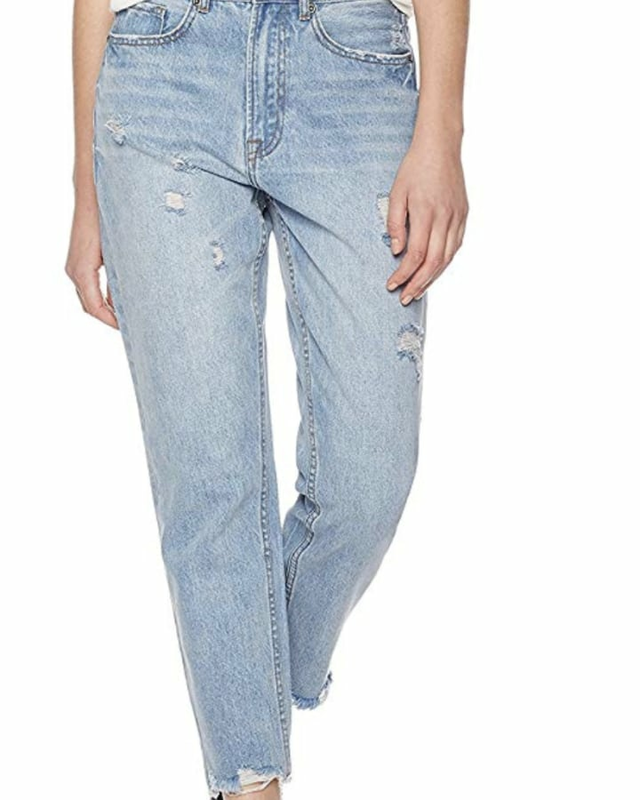 Jump on the frayed denim trend with this easy-to-wear mainstay. 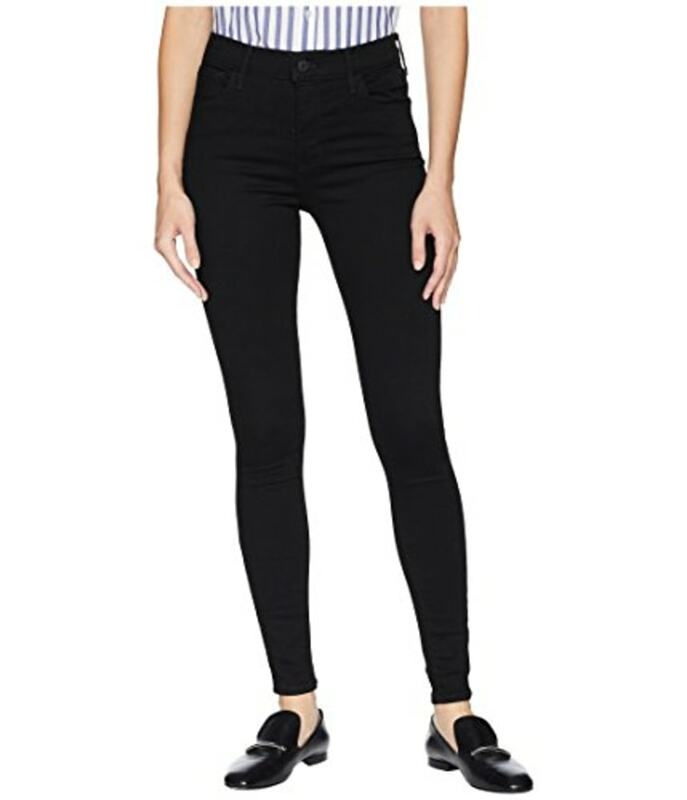 Yes, meet your new favorite pair of jeans, transitioning seamlessly from school drop-off to happy hour. So simple, so flattering, so goes-with-anything. Booties complete this look, and flats work as well. Pair these with a boatneck top or a button-down shirt and pumps. 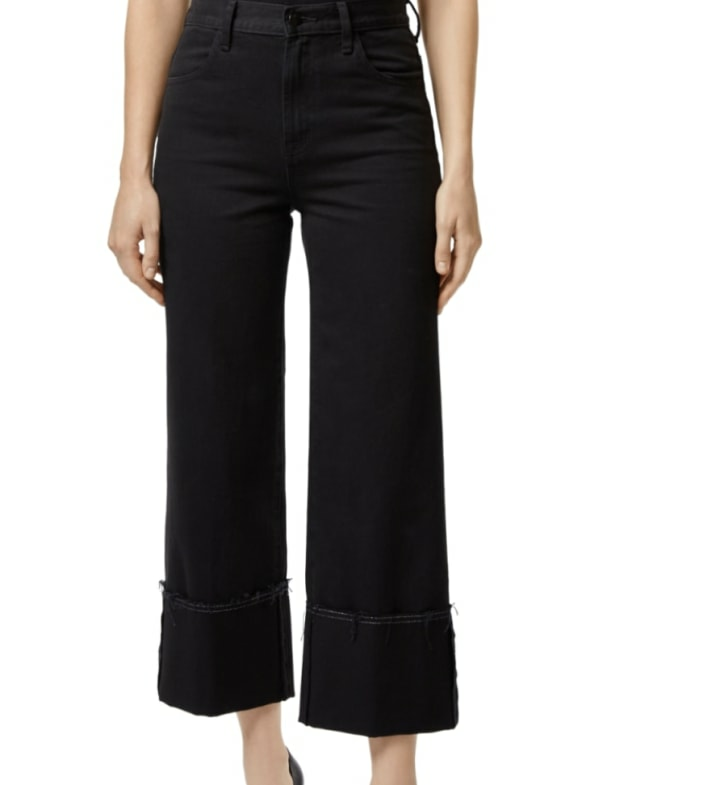 Wear your top tucked-in to showcase the very cool faux lace-up waist.